'Well," I replied cautiously, "not quite like here!" 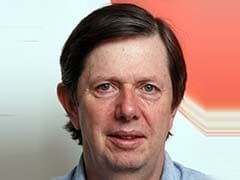 All the individual elements of Tamil Nadu's political drama may have their echoes elsewhere: the séances at the lost leader's grave; the duel to inherit the mantle of a charismatic, populist politician; a woman who has never contested elections being chosen as party leader in a legislature; the jailing of that would-be Chief Minister for large-scale corruption; police evicting dozens of legislators from their own assembly chamber; an opposition leader who parades around in his torn shirt almost as a battle trophy; the sequestering of scores of assembly members for almost two weeks in isolated, and guarded, beach resorts; a state Governor whose engagement diary keeps him conveniently out of town as things hot up. In Chennai, however, they have played out in bewilderingly rapid succession in one of the most engrossing political powerplays I've been privileged to witness at close quarters. The city has, by-and-large, remained remarkably calm as its politicians have become increasingly volatile. On the evening of the Supreme Court verdict against Sasikala, I went down to Marina Beach and along to the Jayalalithaa memorial to see if anything was stirring. Nothing. Neither crowded nor deserted, just the regular routine - groups of youngsters hanging out, a few couples taking selfies at Amma's grave. Don't mistake that, though, for a lack of concern about the political chicanery all around. There is a deep anger about the degrading of Tamil political life, where personality trumps policy and the pursuit of power (and personal wealth) blots out serious discussion of how to govern better. And this is more than simply the standard middle-class disdain for "vulgar" politics. Sasikala is almost viscerally unpopular. "She's vicious," one well-heeled lady told me. "And her family will loot the state!" According to the Supreme Court, the looting is not a future prospect - it's already happened. But it's not just the elite who don't like Jayalalithaa's companion. "Not Sasikala, never Sasikala," a poor, elderly woman insisted vehemently in Tamil - going on to repeat an allegation which may have no foundation but is widely heard: "She killed Amma!" 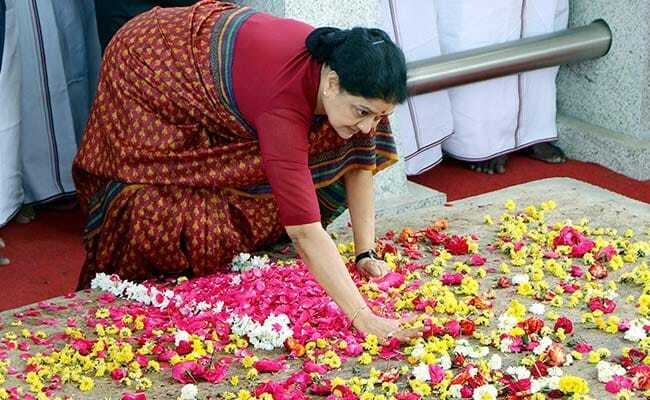 Sasikala is seen as the woman who corrupted Jayalalithaa. Sasikala's extended family, the much talked of Mannargudi mafia, is both despised and feared. I saw this reflected in the, quite literally, "defacing" of Sasikala. When she set her cap at becoming Chief Minister, posters were hurriedly printed displaying her alongside Jayalalithaa. In the part of Chennai where I'm staying, dozens of these posters were vandalised. The likeness of Jayalalithaa was untouched, but Sasikala's face was scratched and torn out. I've never seen that before. Of course, all the talk of Sasikala being inexperienced in politics is wide off the mark. She needs no lessons in party management. After all, she's been doing it on her mentor's behalf for years. And so far at least, even while making candles in a Bengaluru jail, she continues to command the party. It was her choice of Chief Minister, Edappadi Palaniswami, won Saturday's floor test in the assembly. Sasikala loyalists know she's an electoral liability - but if they stick together they can stave off an early election. And of course, in a party where money matters so much, she continues to control the purse strings. The OPS wave never became more than a ripple. Panneerselvam attracted support not because of who he was, but who he wasn't. A party which is used to high octane, personality-driven leadership was always unlikely to settle for someone who epitomised loyal, low-key competence. 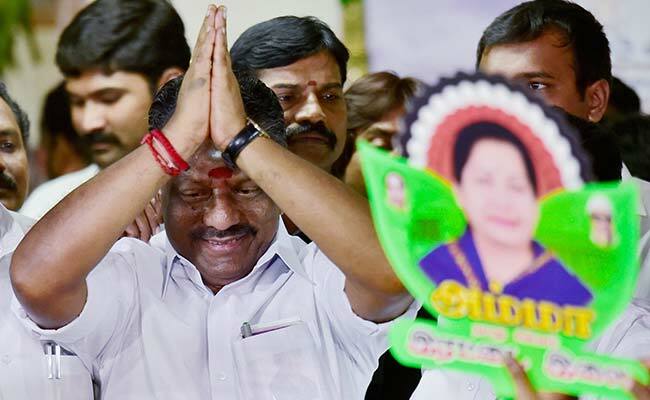 If OPS had not submitted his resignation as Chief Minister, it could have been so different, but claiming that you were brow beaten into such an important decision doesn't sound good from a politician staking a claim on the state's top job. A wise and experienced commentator I was talking to over the weekend told me that Tamil Nadu's politics was certainly the grubbiest and most venal in the country. But he believed there could be change, that the coming generation could clean up politics. Last month's Jallikattu movement, which took the politicians by surprise, is one sign of the young asserting themselves. On social media, there's chatter about a campaign to demand President's Rule - not to help the opposition DMK but as a step towards restoring democratic legitimacy. And there's a prospect of a concerted drive to tackle vote buying, the highly focussed cash give-aways which can sway an election. If a forceful cleaner politics campaign can emerge in Tamil Nadu that would be as big a story as the astonishing psychodrama of the past few weeks.